The Red Book ~ my treasure working in HQ. Why do I say so?... I start using this book as my log-book which record movement of any documents that under my responsibility in 2006 until my last day in HQ...This log-book has been our (my department) only written record and did wonders to us too.. sadly I need to left it behind as my then superior need the book as some of our document were still around various department n they need to track it back for follow up. But my boss promise me that the book will be return back to me after they are done using it... 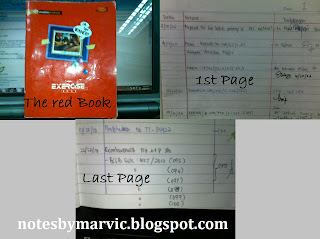 I miss my red book..